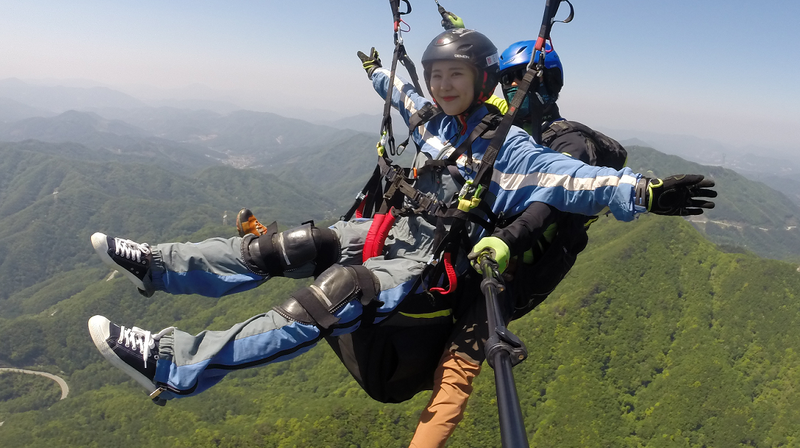 Fly to the sky with Paragliding In Korea: We offer tandem paragliding flights near Seoul, Busan, and Daegu South Korea. All of our pilots are licensed and insured. We are always flying (during daylight), so you can book with us on any day you like. Come join us for a flight with one of our experienced pilots! We are excited to be able to connect guests to local food and drinking tours in Seoul when they aren't paragliding or taking part in one of our other adventure activities. We have partnered with various local food companies to bring you tours that any foodie would enjoy.